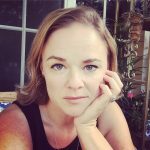 Every year, I come back from the Haven Conference with a ton of swag – a.k.a. stuff the vendors give us. Some of it are things like water bottles (which we use still four years later) and others are things like tools (my favorite kind of swag). Some of the stuff has made it’s way into my permanent bag of tricks (like the Ryobi battery powered brad nailer that I won at one of the classes), while other things have been snatched away by my kids (the Behr bears) or my husband (measuring tapes, massive hammers, etc) when I walk in the door. 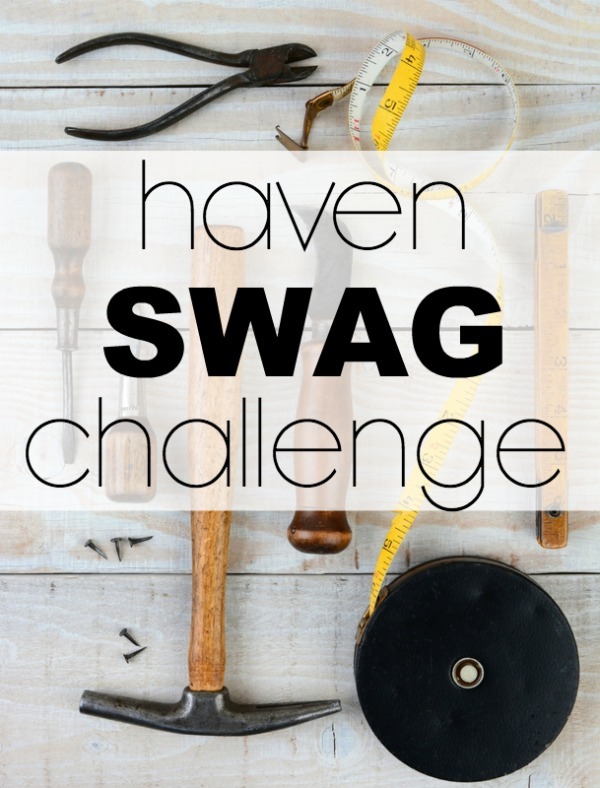 This year, I’m teaming up with a bunch of other bloggers to show how we used the swag we got at this year’s Haven Conference. I’ve used quite a bit of my swag for various projects, but this one is my favorite. We have one wall in the house that needs a long, but still fairly wide, piece of art. I haven’t been able to find one that I liked, so I decided to make one. I wanted an abstract painting for the space – mostly because I can’t draw or paint anything recognizable myself. 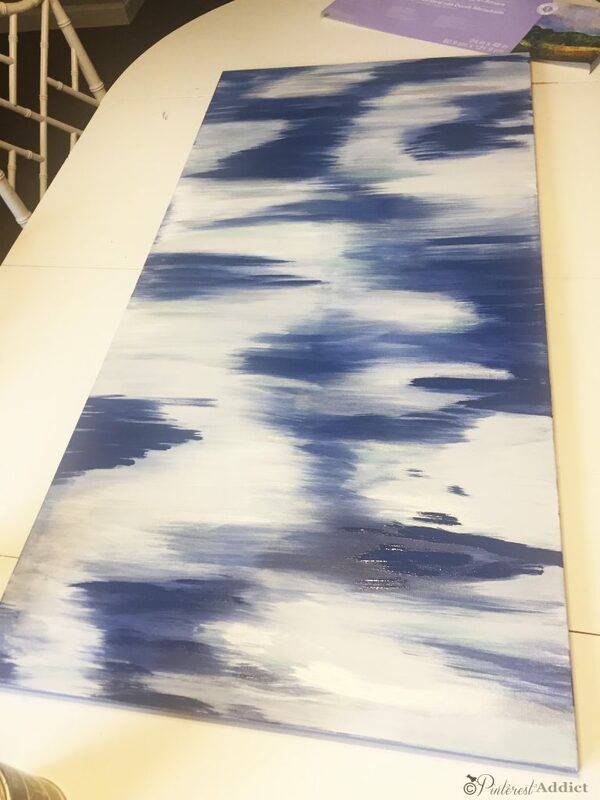 😛 I used some leftover paint I already had in my stockpile, a navy and gray, and also pulled out turquoise (FolkArt Cascade) and a Decor Art metallic paint that I was given at Haven. 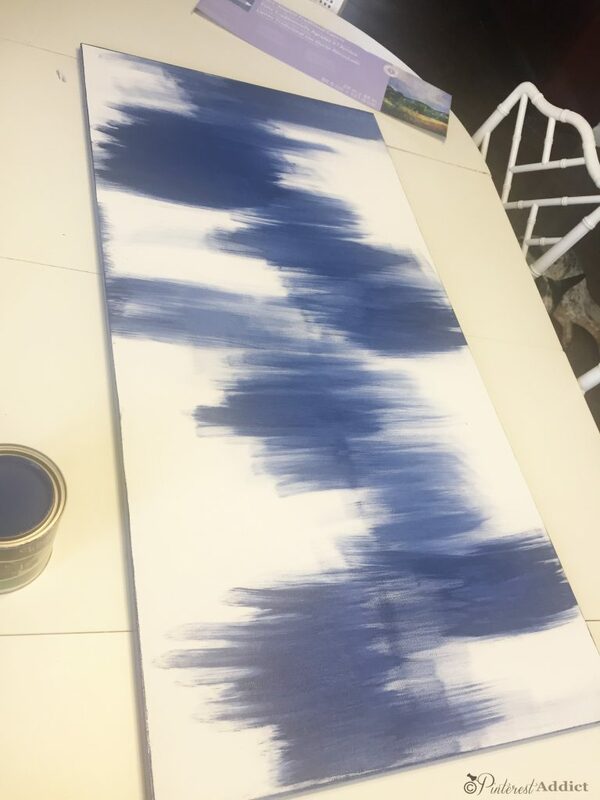 I had looked at thrift stores for canvases I could paint over, but nothing was the right size – or price. Then the other day Michaels was having 70% off their big canvases. 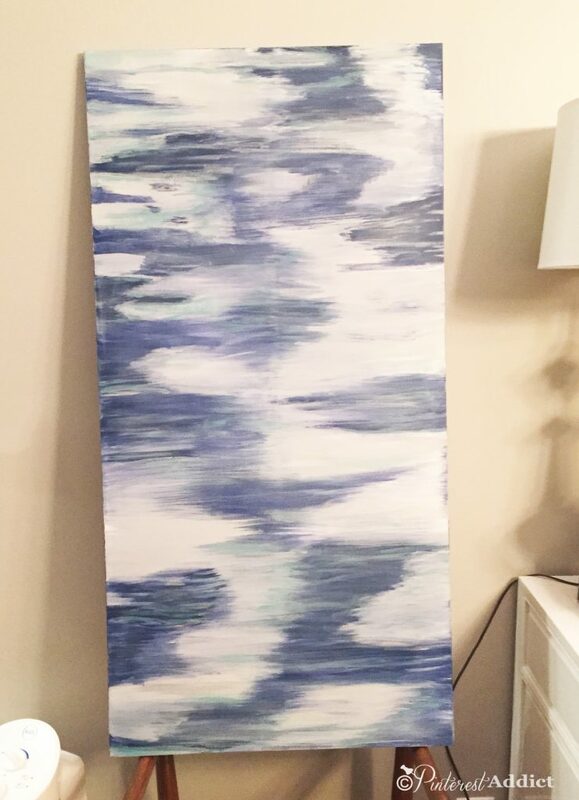 So instead of $35, I paid around $10 for this Artist Loft 24″x48″ canvas. I started with just using a two inch angled brush, since I would be covering a lot of area. Using back and forth motions only, I painted areas with the navy (Heirloom China by Clark and Kensington). Then filled in more space with the gray (silver screen by Sherwin Williams). I kept it pretty loose, just brushing it on with big swipes. 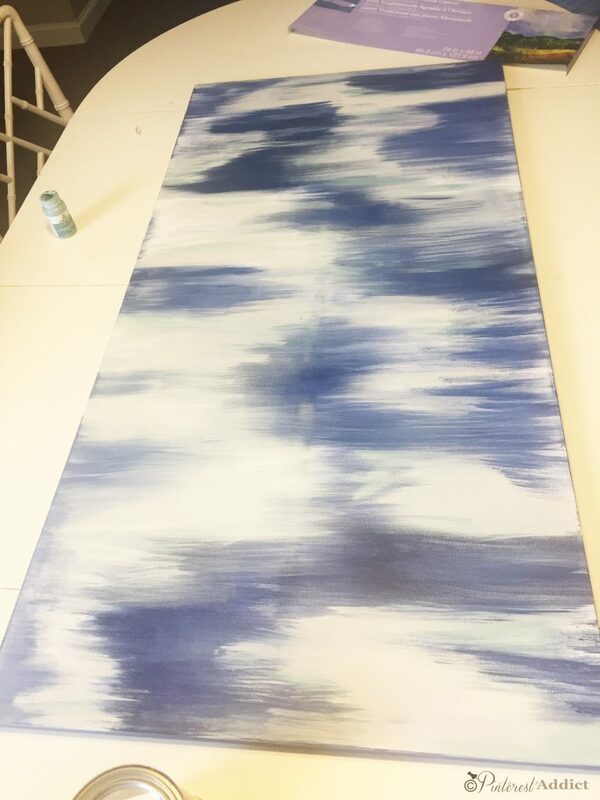 Then I dipped just the tip into the turquoise (Cascade by FolkArt Home Decor) and put a few lines in throughout the painting, blending it into the still wet gray. 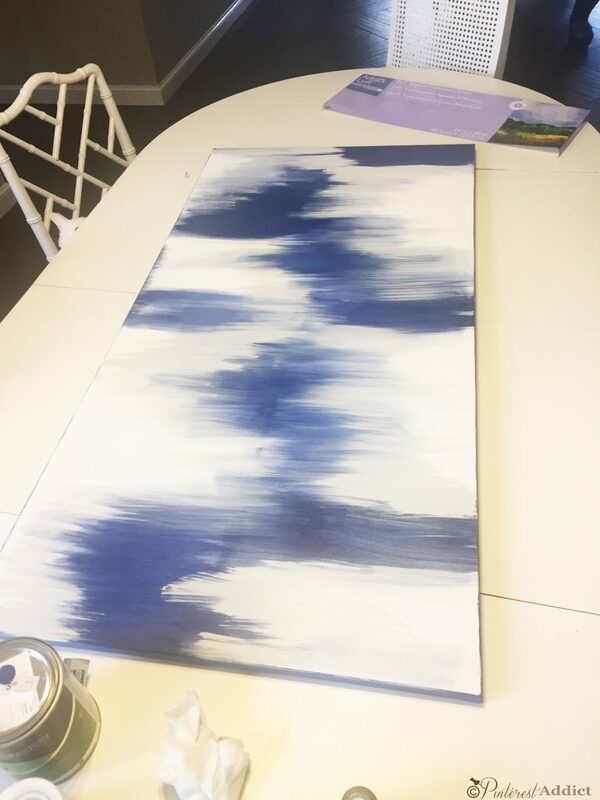 I used just a little of the DecoArt Americana DECOR metallic Sterling Silver on the edges between the navy and gray. And finally, I went back with the navy because it had seemed to get too washed out. I decided to add a bit more gray and blend the colors… but I didn’t take a photo of that because that’s when I started to obsess and keep touching it up. Does that happen to anyone else? You just keep changing and adding to it at the end until you physically have to restrain yourself from touching it anymore? Me – all the time. I have to learn to just walk away. And finally, I got it up on the wall. I still think it could be a little larger for the space. What do you think? It’s not a masterpiece by any means, but for roughly 11 bucks and swag paint, I don’t think it’s too shabby. Now, go check out the other projects! Awesome! I need to make one!! I LOVE it!! Totally gorgeous and super peaceful! 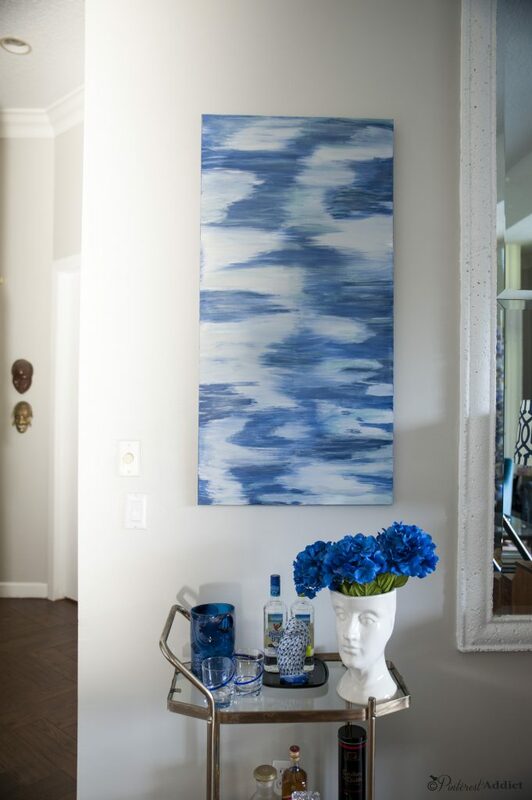 I’m no expert by any means, but I think your new canvas looks fabulous in your space. Yes, I too tend to “keep going” instead of stepping back and leaving well enough alone. 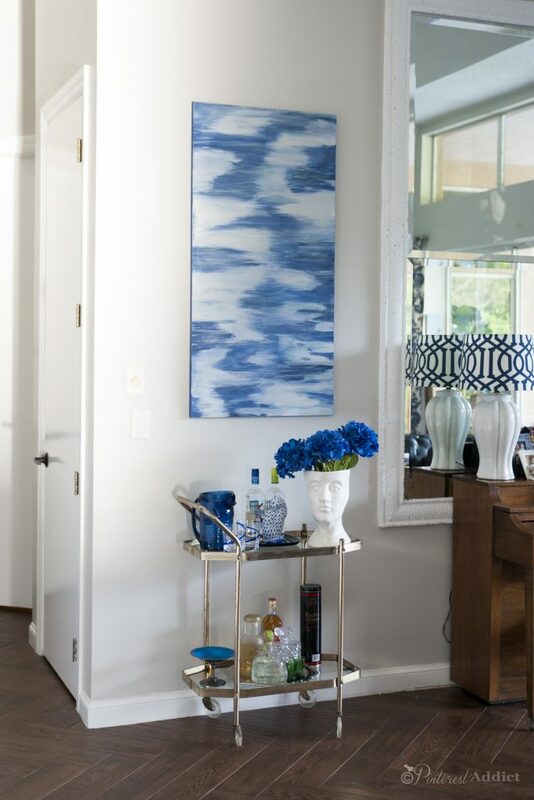 Love blue hues! What a genius way to paint. hey you!! This is so pretty!! Love it! How cool is that! Love the idea of using all the swag. 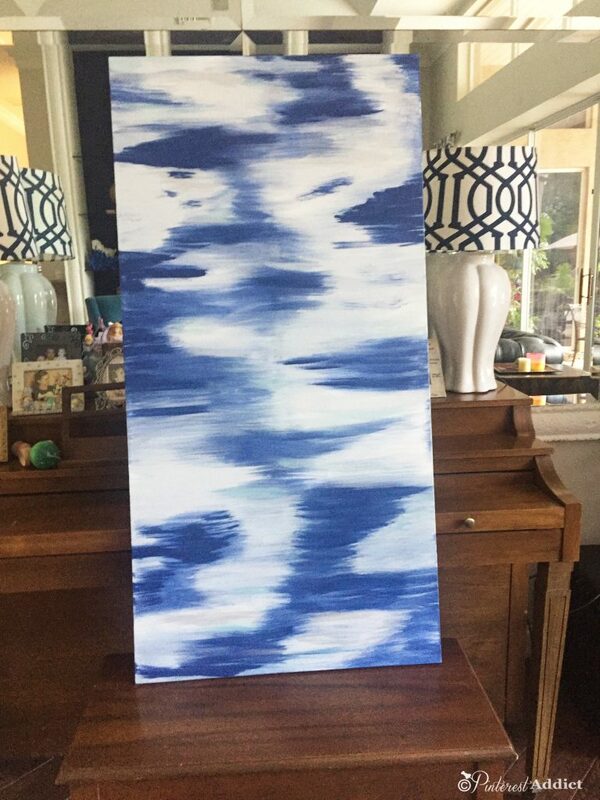 Beautiful art and love that it’s blue!! Your canvas is in perfect proportions for that space hun!! Beautiful colours too!! !